Program Manager of the TL2 Project. He was born in 1981 in Salamabila, Kabambare territory, Maniema Province. In 2005 Matthieu started in Medicine at the University of Kisangani because his grandfather worked as a nurse. Early on he attended courses in Biology, including Botany and Zoology. Immediately, Matthieu knew he wanted to do something related to wildlife. He decided to quit Medical Sciences and entered the Department of Biology, majoring in Hydrobiology. During his studies he became more and more interested in nature conservation. After he graduated, Matthieu wrote a letter to ICCN (Congolese Nature Conservation Institute), and became an intern at the Provincial Direction in Kindu. 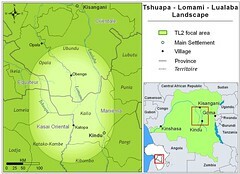 That is where he met the TL2 Project team. He took part in a 2013 training session, stayed on and quickly became a team leader. Now he is Maniema coordinator, working in close collaboration with the Scientific Director, John, to plan and coordinate field operations. He has at least 8 teams working in the forest and has to make sure they patrol the south of the park, out of 5 different bases, with maximum efficiency. He has to regularly collect and evaluate data from each of them, a challenging task. Along with oversight of patrols and transects, he works closely with the PALL team for the security of the park. He is regularly in contact with local communities and can provide information about issues and difficulties in many of the buffer zone villages. Matthieu hopes to get more scientific training in the near future. He hopes to work for a PhD in the domain of conservation. He wants to gain greater capacity to analyse data and report results, he particularly wants to expand his competence in the changing field of ArcGis. He wants to assure that the TL2 team maintains international standards. Matthieu has 7 siblings and a 2 year-old son. 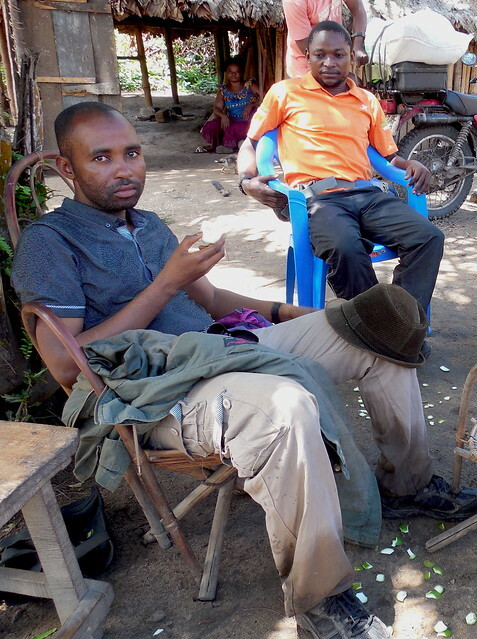 Being based in Kindu, he sees his family frequently despite long and frequent trips to the field. He likes every part of his work; especially working in collaboration with his colleagues. He believes the TL2 Project has an excellent team and is proud to be an important part of it. 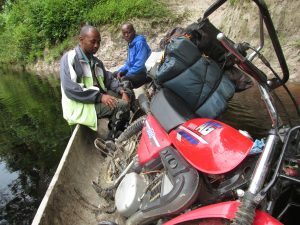 Sometimes it is difficult and tiring and requires a great deal of strength, for example traveling on the motorbike for days on really bad roads, but it is part of the work and it needs to be done. Matthieu embraces the challenges.